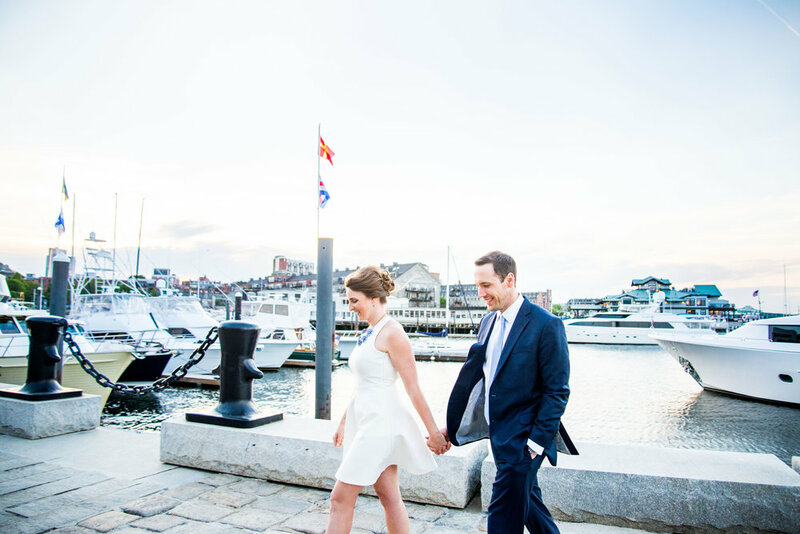 Charlotte and Ryan have a true Boston love story, beginning at a rooftop party downtown and continuing in Harvard Square; even with many individual travels to other cities and countries, this couple always returned to each other in this city. 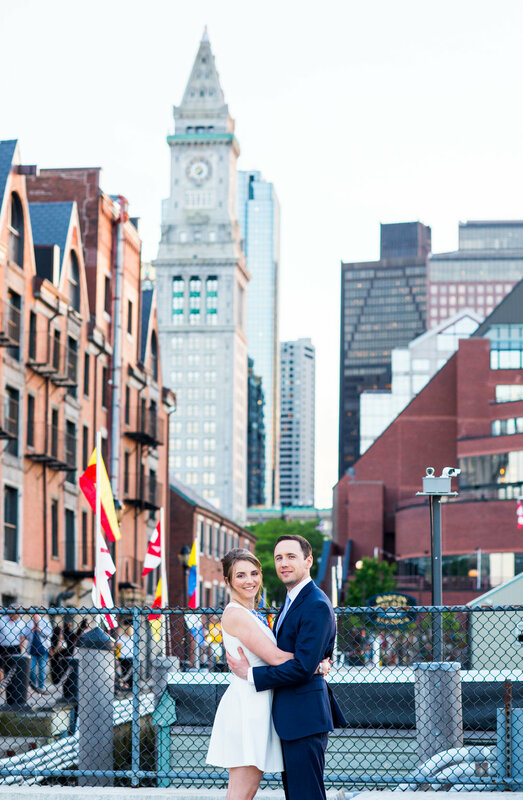 It was only fitting, then, that we explored the beautiful streets of the North End, breezy Boston Harbor, and Christopher Columbus Waterfront Park for their engagement photos! 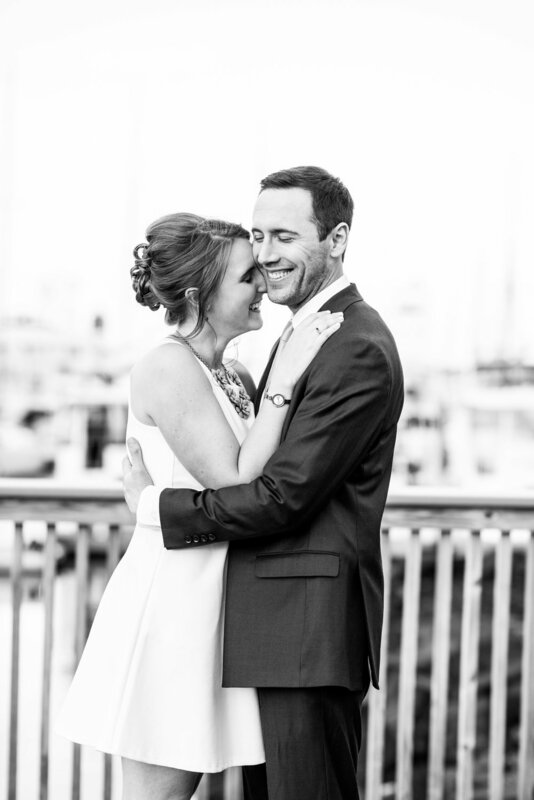 As much as they love Boston, though, Charlotte and Ryan are certainly not homebodies. Ryan actually proposed to Charlotte within minutes of landing safely after skydiving in Hawaii! 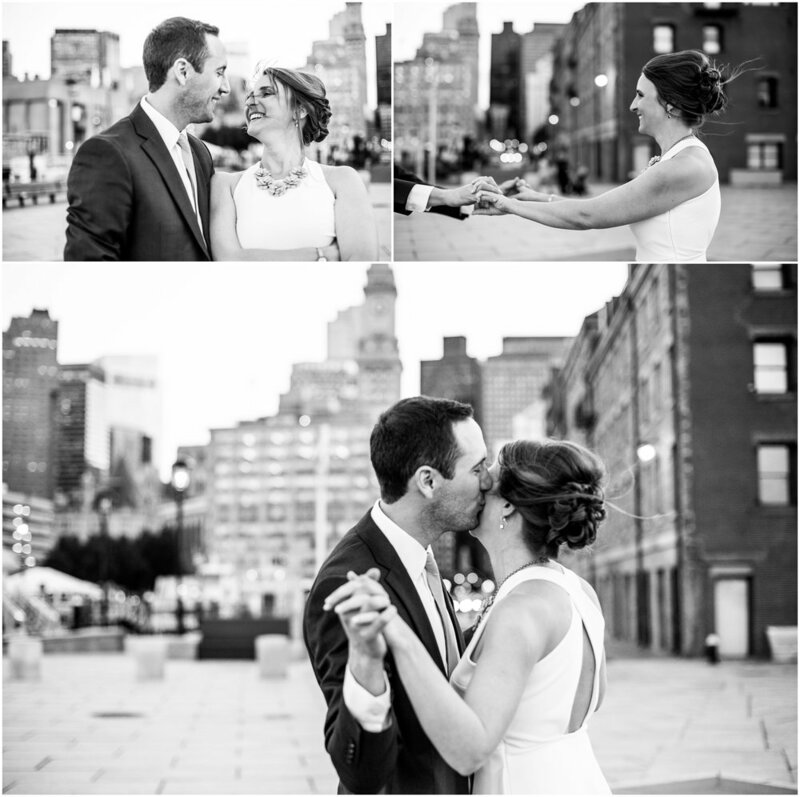 These photos really capture that playful and joyous side of their relationship, set amongst the city that brought them together. 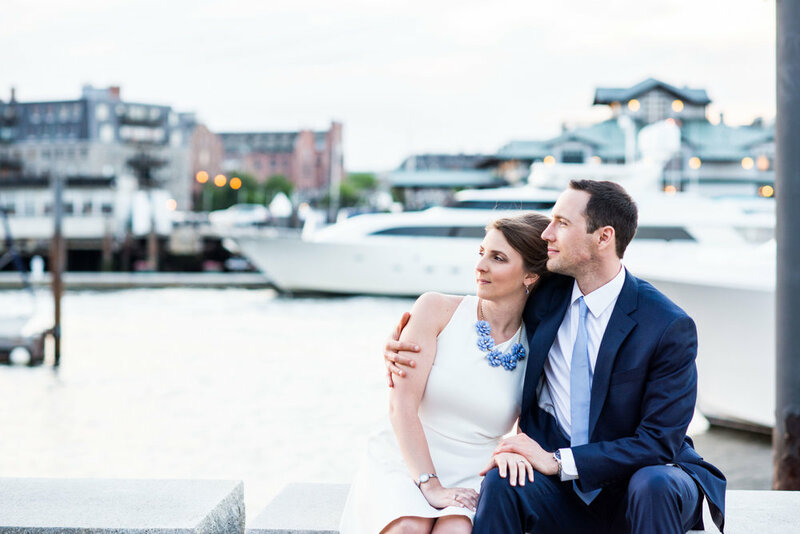 I love the clean lines of Charlotte’s dress, accented by the pop of cornflower in her necklace; a color that perfectly plays off of Ryan’s tie and complements his navy suit. As the day began to turn to evening, we took advantage of the city’s lights as they slowly came to life. 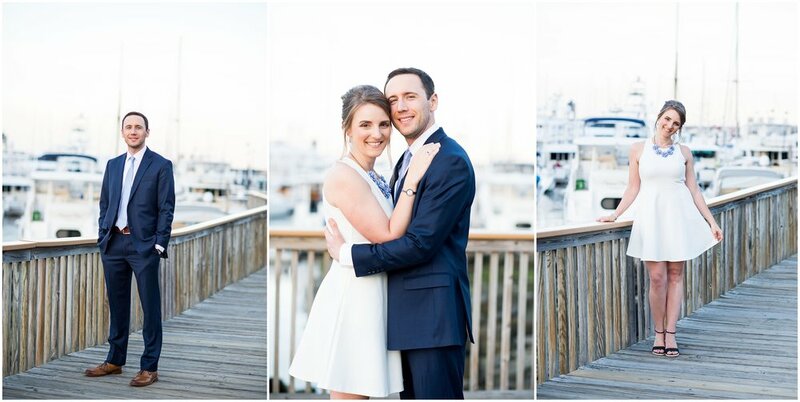 Charlotte and Ryan were a pleasure to work with!